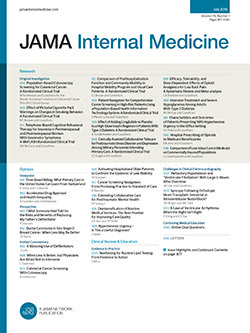 To the Editor The article in a recent issue of JAMA Internal Medicine by Drs Chang and Shapiro1 asks an important question: Do hospitals’ habits of costly and invasive intensive care utilization affect patient outcomes? The authors conclude that intensive care unit (ICU) utilization is not associated with hospital mortality and estimate that decreasing ICU overutilization may save millions of dollars. Before policy experts and hospital administrators sharpen their knives to trim the fat of ICU overutilization, the authors’ may add perspective to some unmentioned elements of reporting that may change the above conclusions.